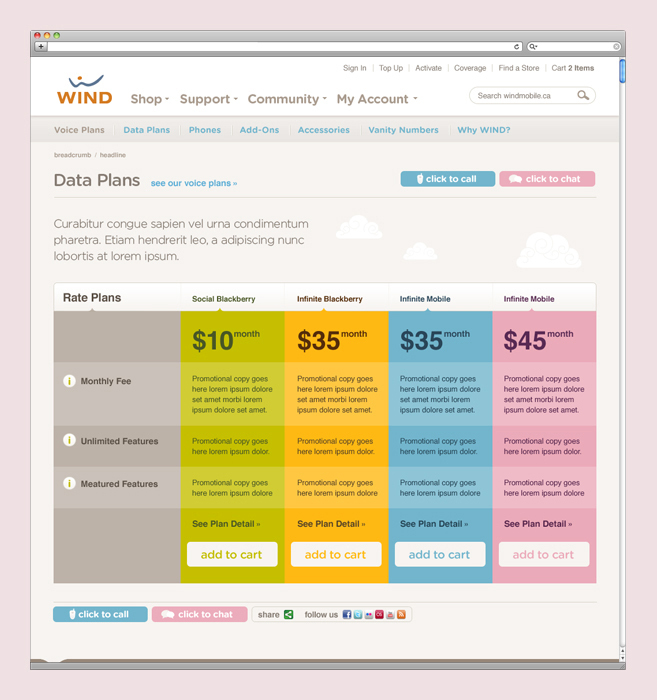 WIND Mobile needed to introduce itself to Canadians as the new national wireless service. 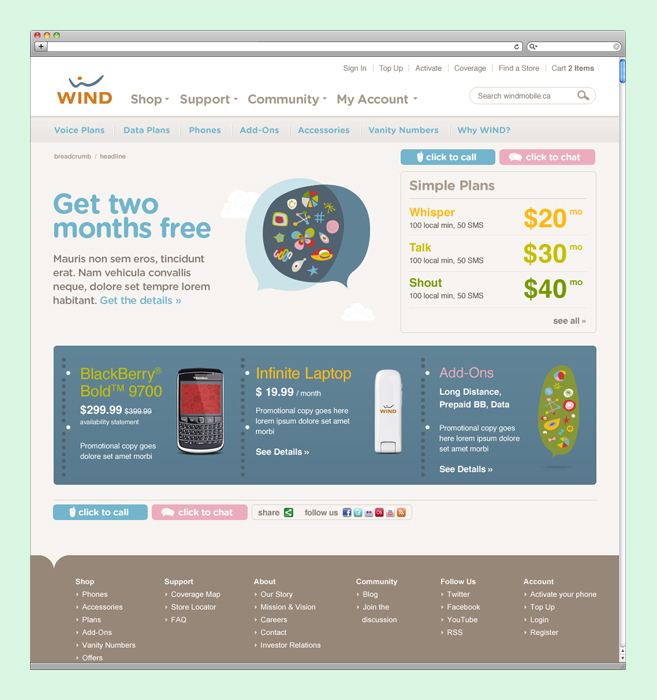 The key communication was the company’s resolve to deliver a superior wireless experience to consumers long frustrated by the offerings of the big three incumbents. 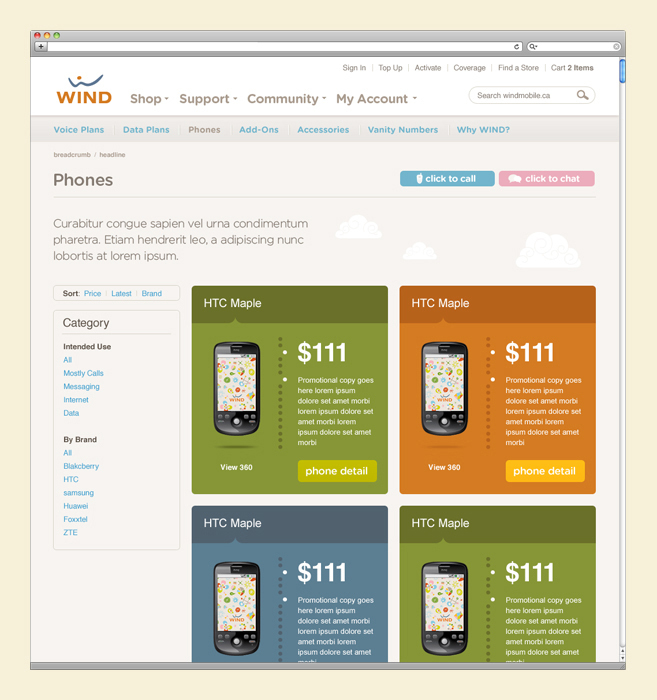 The WIND Mobile site was designed as a community platform, where users were asked to make suggestions, share ideas, and ask questions about how wireless service in Canada could and should be better. 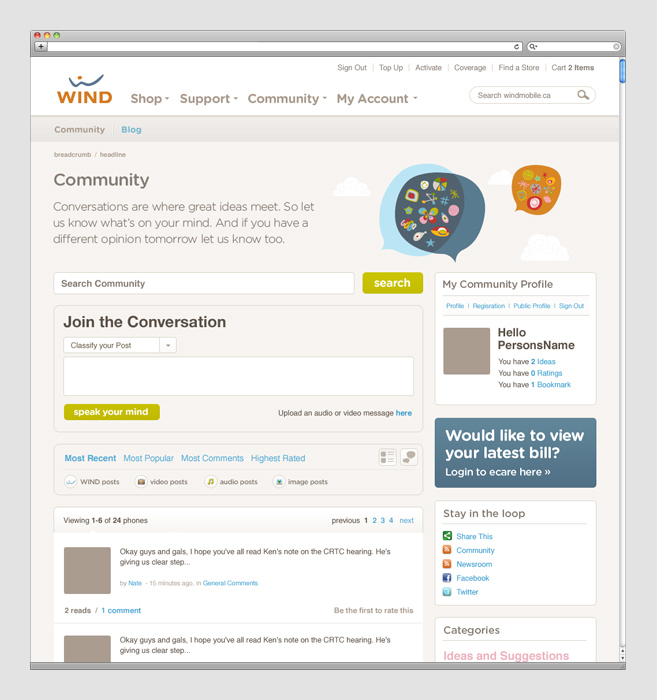 WIND executives, from Customer Service to the CEO, responded. 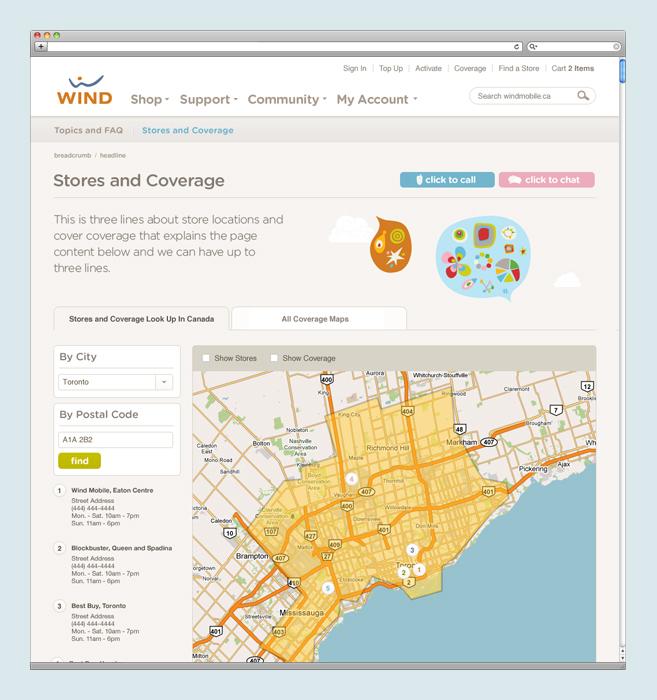 WIND now has the most active and integrated social platform in Canadian telco. 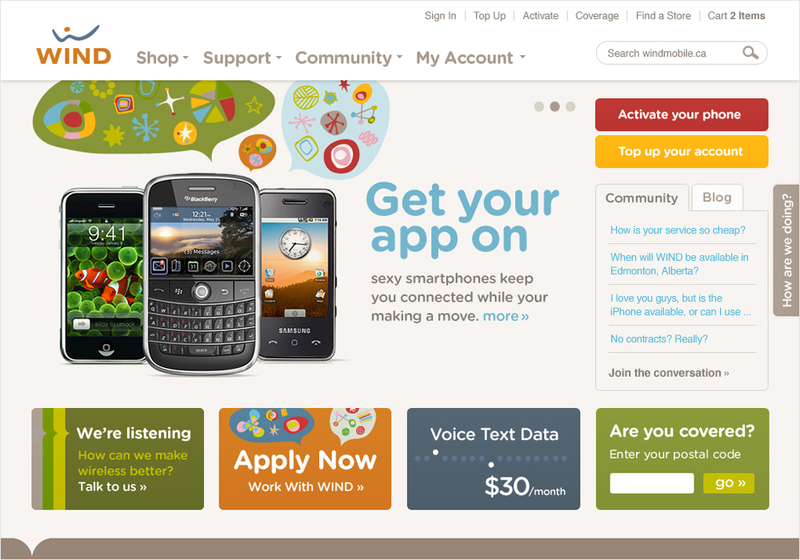 WINDMobile.ca won Gold at the 2010 Canadian Marketing Awards. 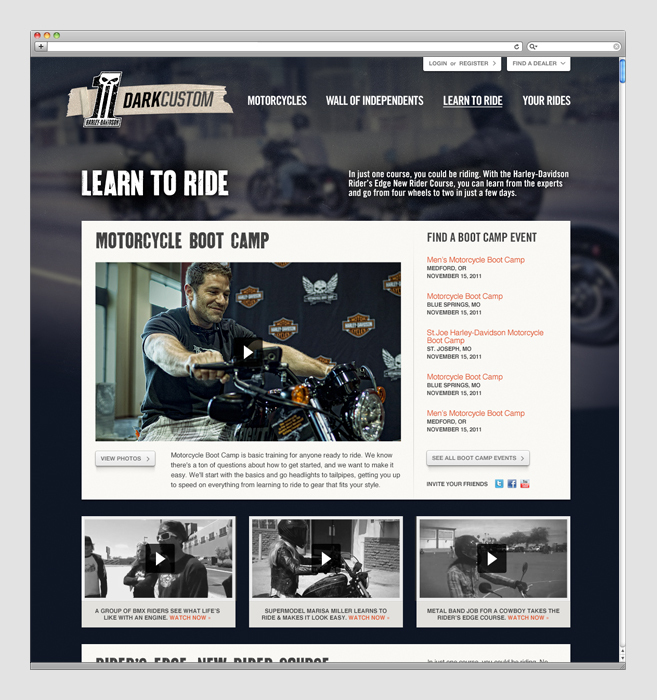 Harley-Davidson’s Dark Custom line of motorcycles was introduced in 2008 as an attempt to gain the attention of a younger, hipper customer base. 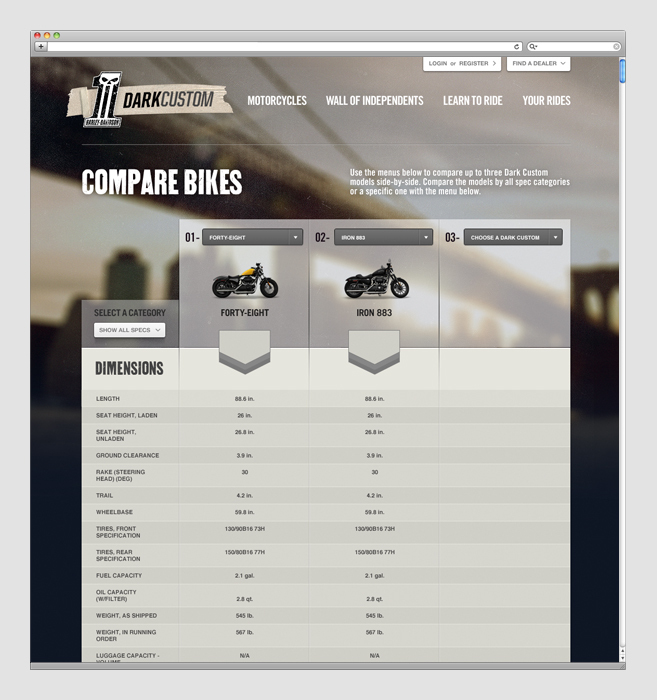 The strategy intended to find the interest of younger, newer riders without alienating the older core demographic. 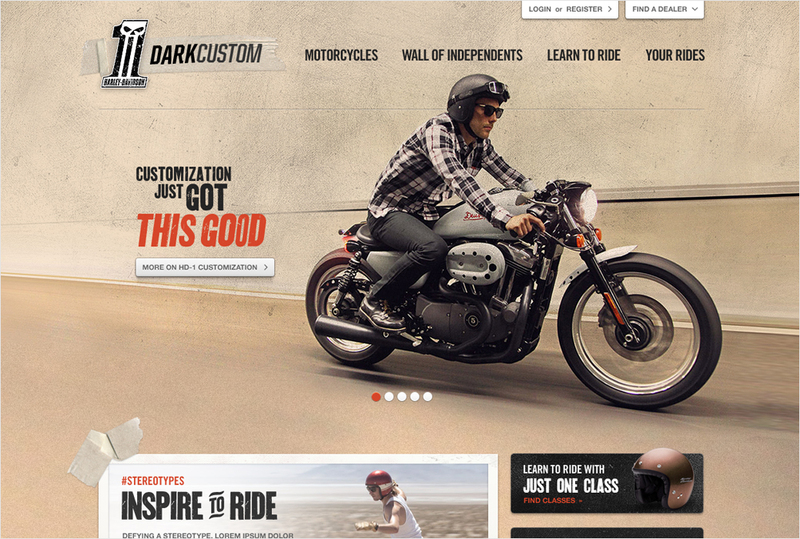 Harley-Davidson created a sub-brand to market cheaper bikes as being more desirable to younger and cooler people. The Dark Custom line from Harley-Davidson pays tribute to the dirt tracks and drag strips, the uninhibited spirit of motorcycle culture. 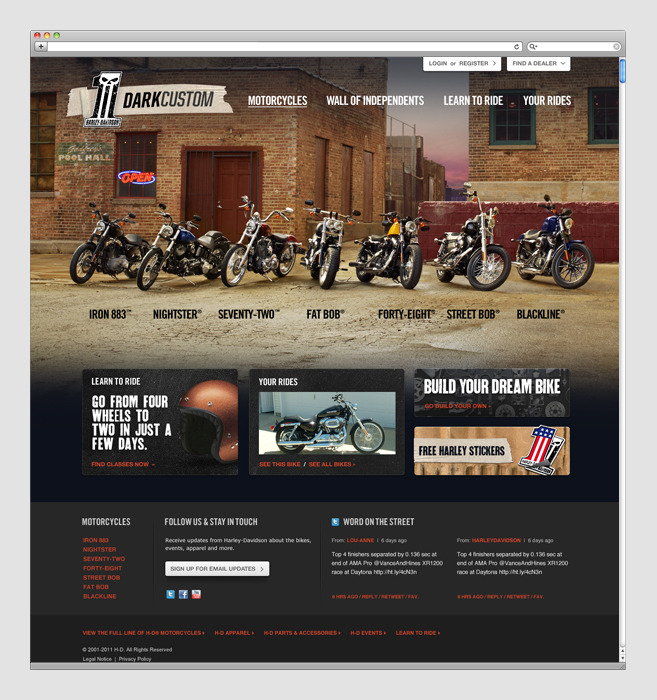 In 2012, the Dark Custom micro-site was starting to look dated and out-of-touch with the kinds of digital platforms their young demographic was using. 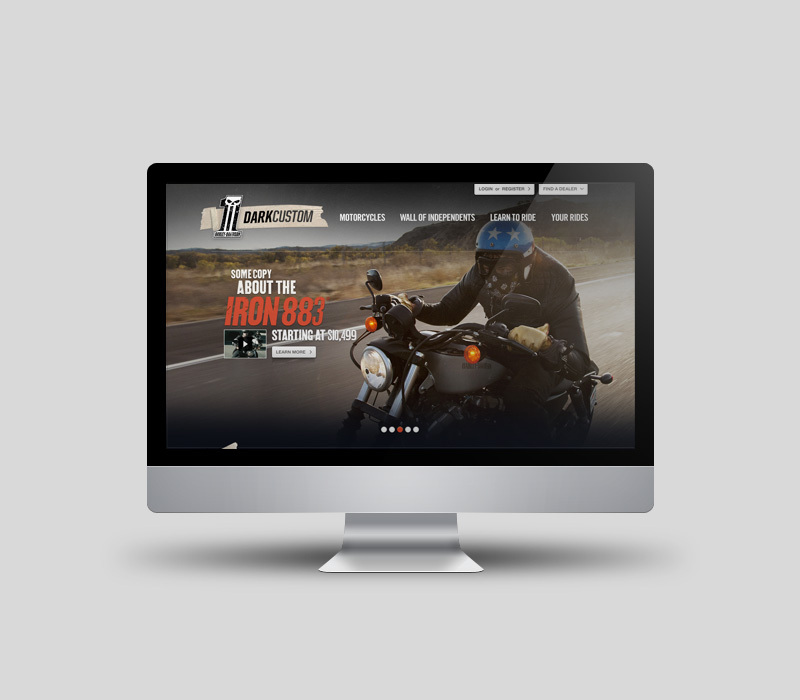 We implemented a brand new full-bleed microsite leveraging Harley-Davidson’s amazing photography, and we also implemented a campaign that leverages a new social platform: Instagram. 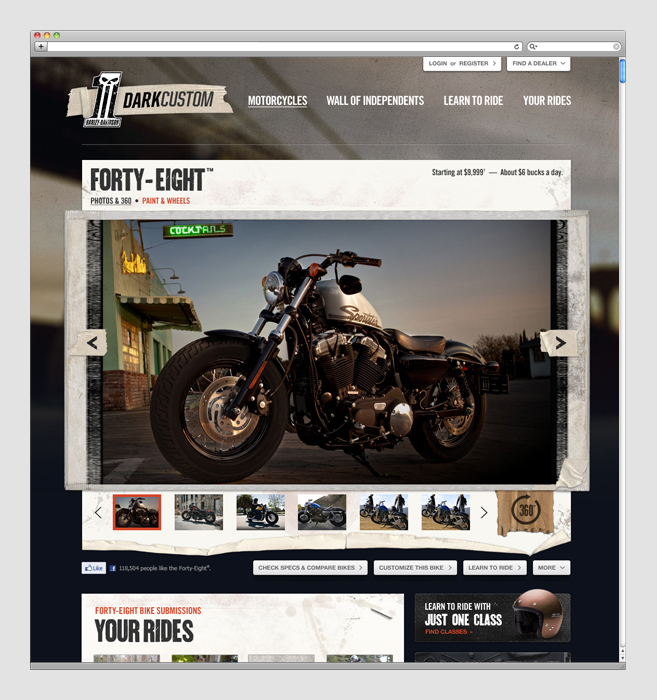 By using the hashtag #StereoTypicalHarley, you can publish your own instagram photos to the Dark Custom wall. The Drake Hotel is a hotbed for culture and, as a building, a landmark of Toronto’s history and heritage. It has become a venue for culture to thrive and for people to participate both locals and tourists. 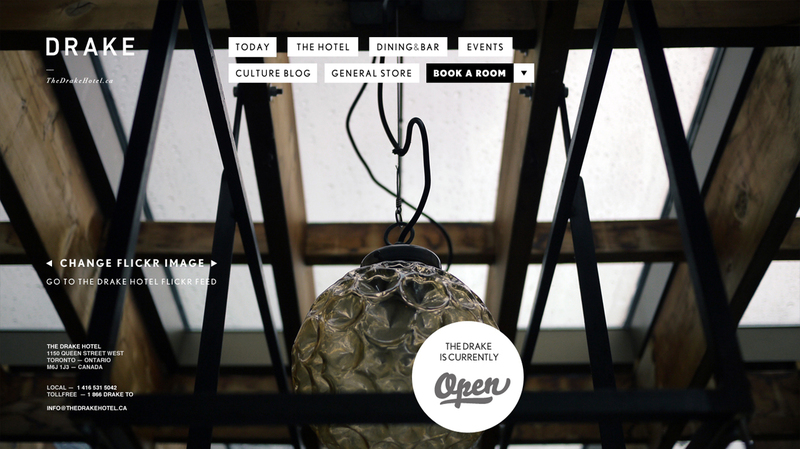 A community cornerstone, renowned boutique hotel, live events venue – The Drake is all of these things. It’s a space that invites discovery. 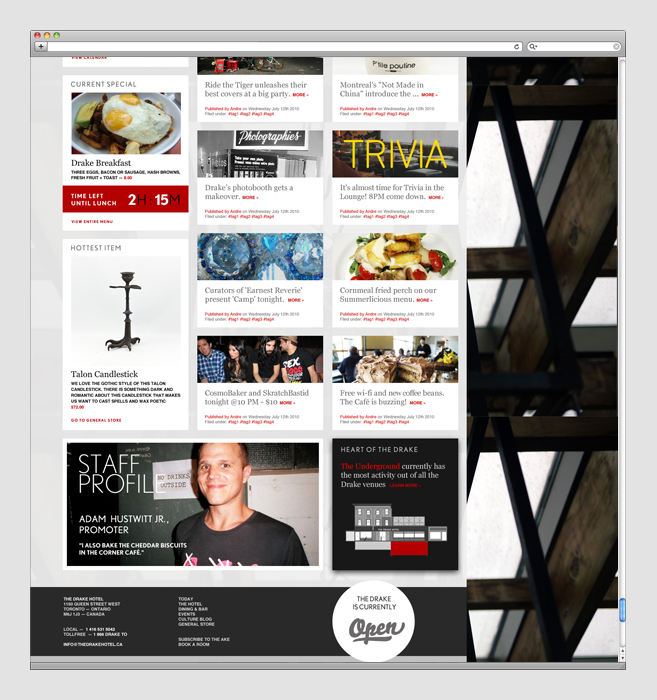 The new website acts as a home base for a growing community, frequently updated with engaging content. Aesthetically, it leverages the Drake’s ever-popular Flickr pool, where users can submit their own photos from a relaxing afternoon in the Lounge, to a wild night in the Underground. 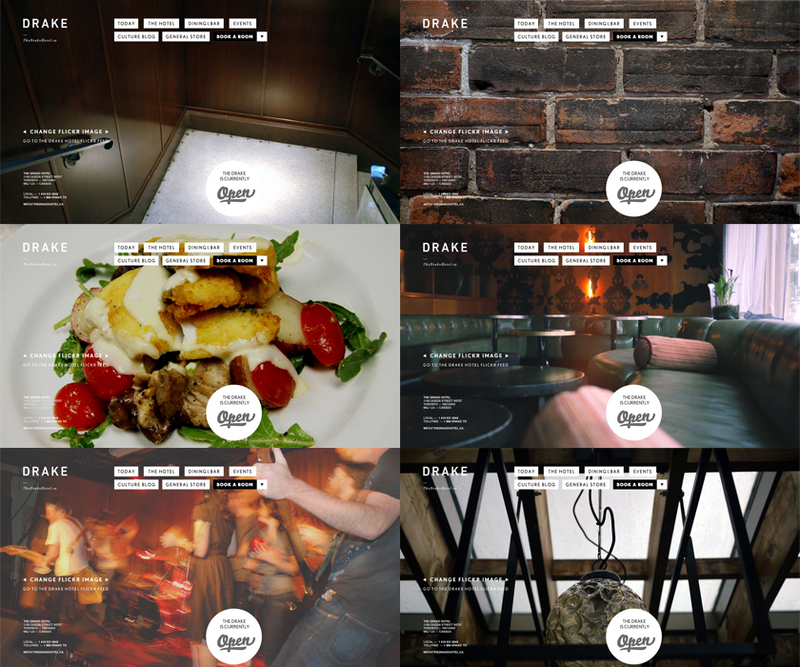 The site backgrounds are real photos pulled dynamically from the Drake’s flickr pool, and give a raw and authentic experience that’s not only representative of the Drake itself, but of the people who stay and hangout there. 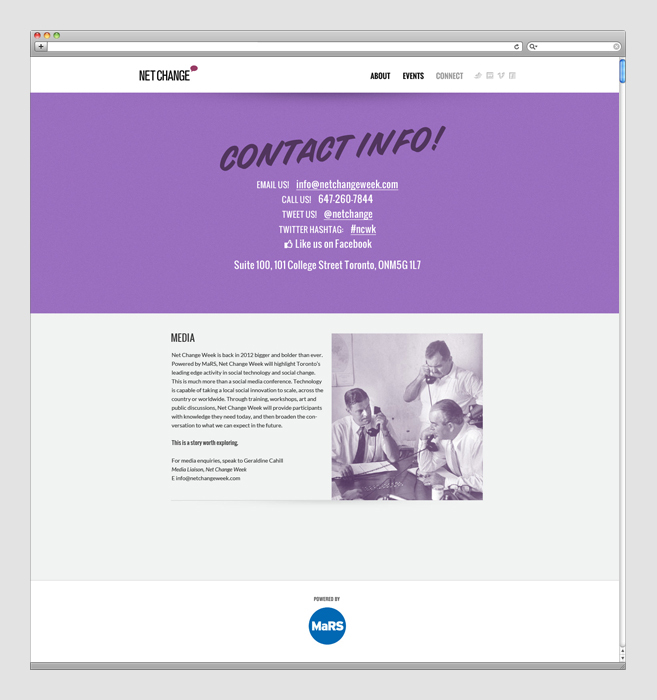 The site also includes expandable, scalable pillars, allowing for new entities, business branches and e-commerce opportunities for the Drake General Store. 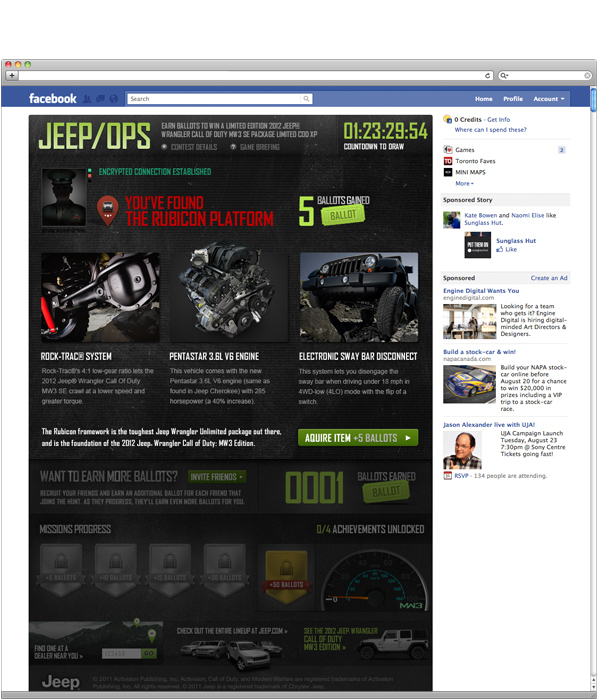 The Jeep X Call of Duty campaign centered around a Facebook sweepstakes engineered to give away the very first production model 2012 Call of Duty Wrangler MW3 Edition. 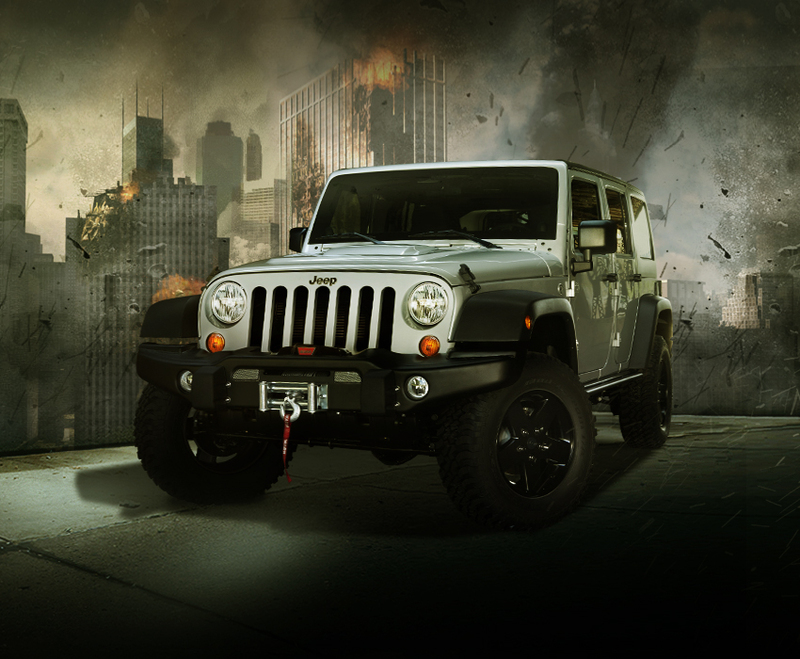 Our goal was to engage a younger audience in order to improve future consideration for the Jeep brand. We created a game on Facebook that resonated with the COD franchise: bringing in game-play mechanics and mission-play familiar to the target market, that would hit them where they are. 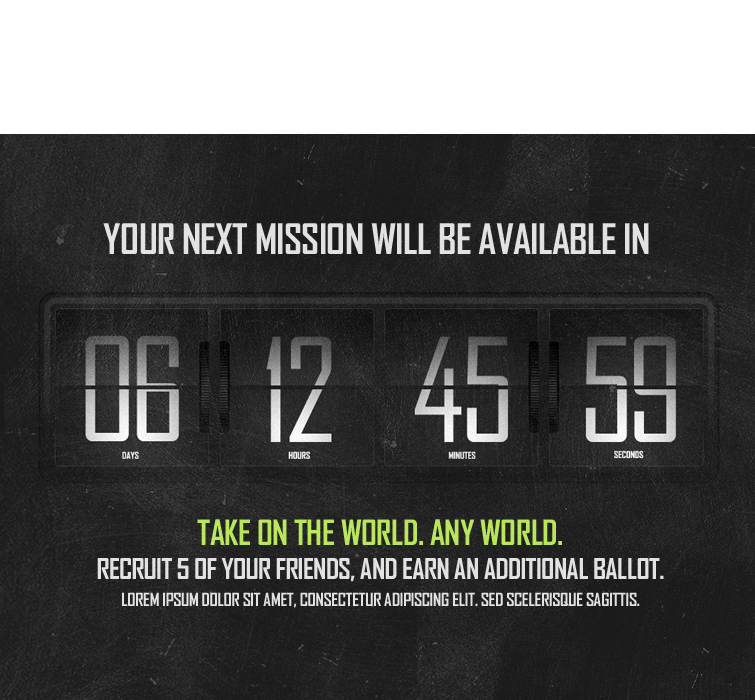 The game incorporates four missions rolled out over six weeks. 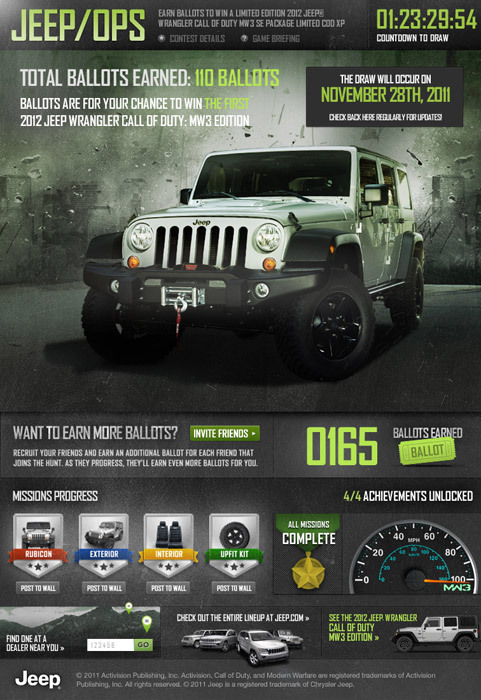 Each mission giving the player a chance to increase his odds of winning the vehicle. 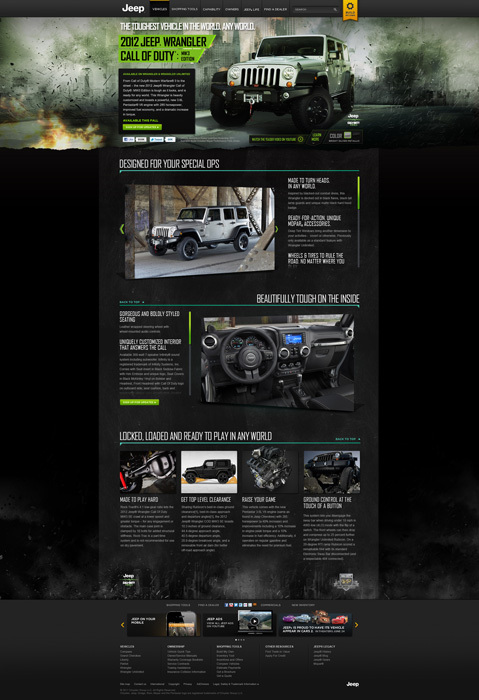 To accompany the game, we also designed an experience on Jeep.com that celebrates and informs the consumer about the special edition vehicle features. 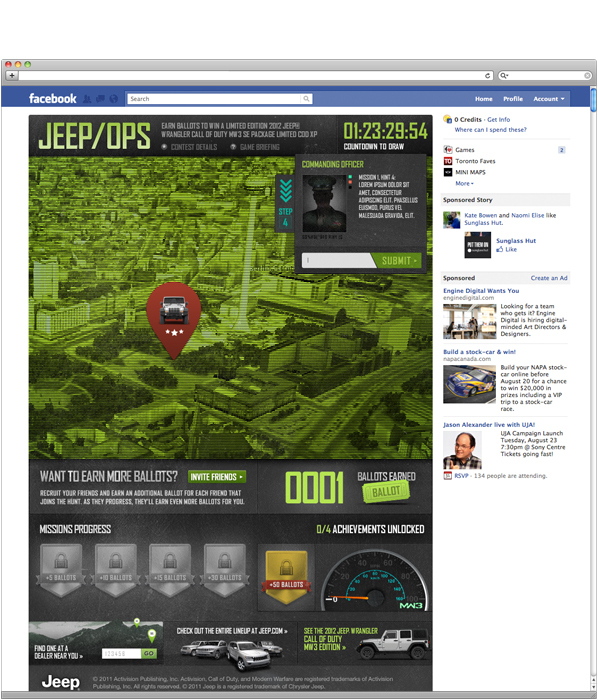 Also included in the experience is a page devoted to the COD XP event hosted last month by Activision. 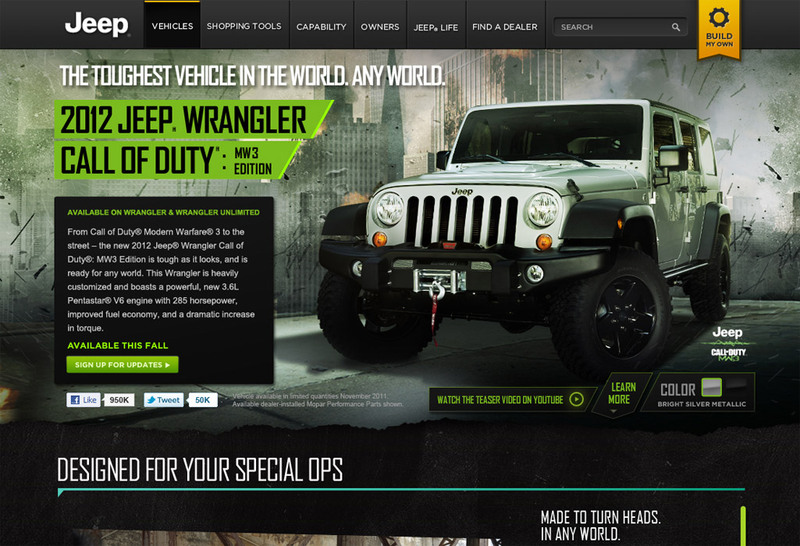 It was designed, again, to bring home Jeep’s connection with Activision and the COD franchise to this younger audience. 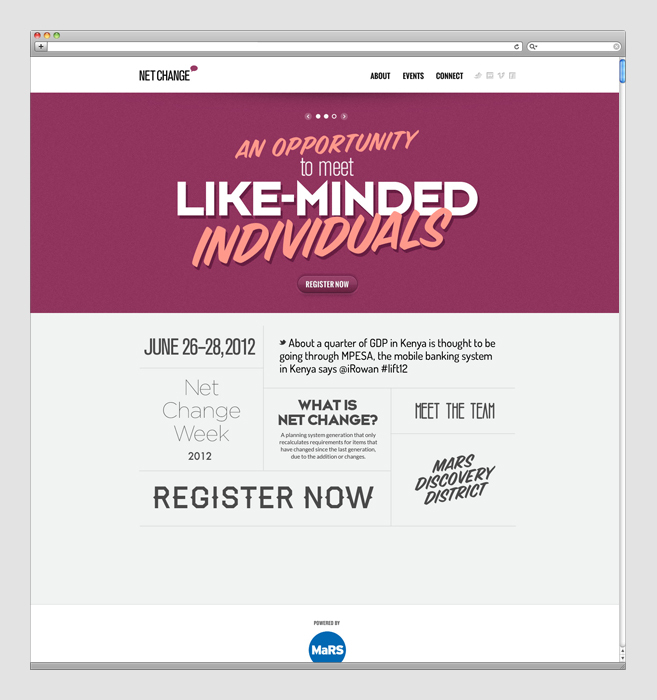 Net Change Week (NCW) is Canada’s premier event on social tech for social change. 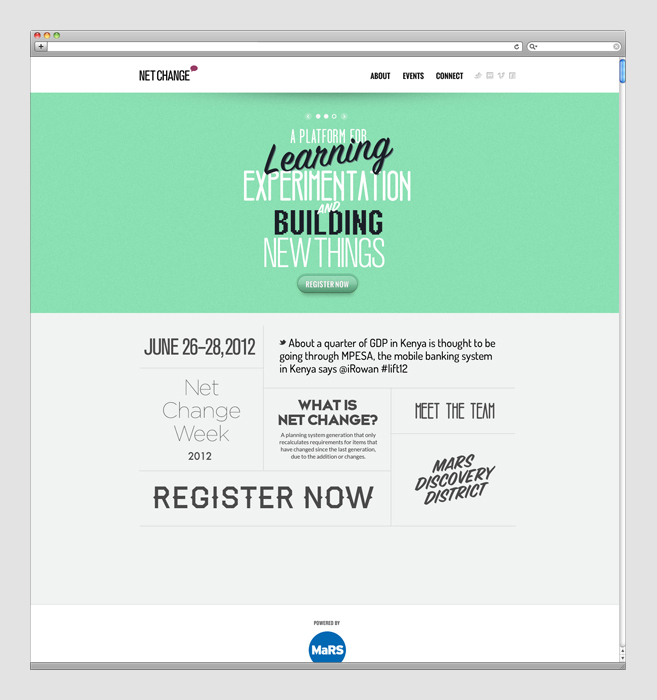 The weeklong series of events features training workshops, evening programming with guest speakers, lab sessions and plenty of opportunity for networking. 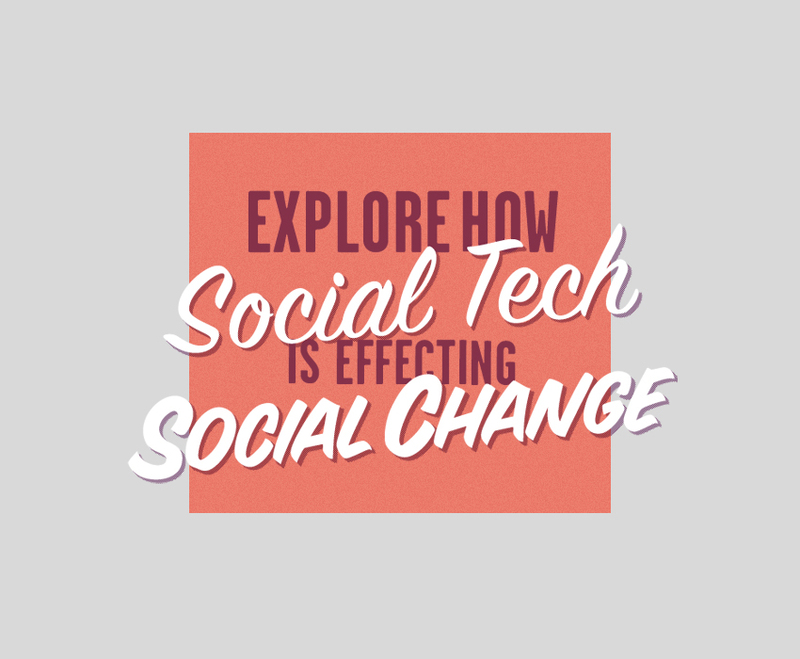 In its fourth year, Net Change continues to be committed to digital literacy and pushing the boundaries of technology’s potential to yield greater impact. 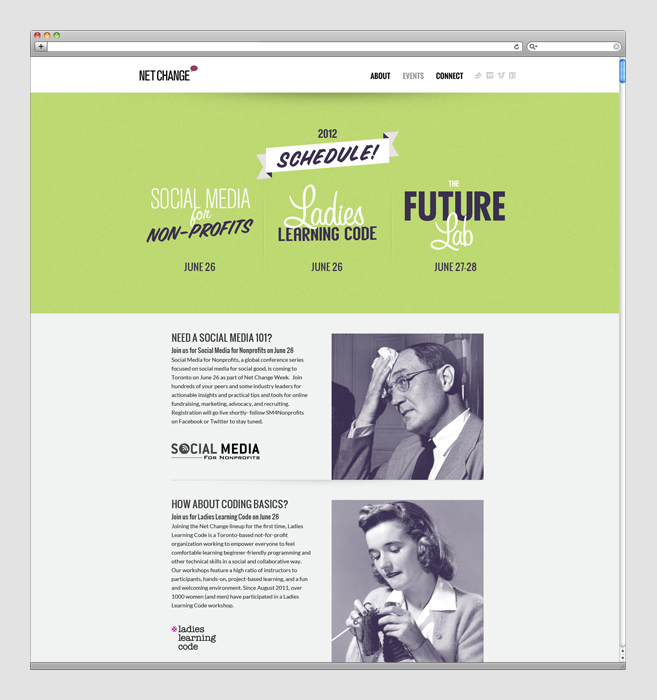 This year, we’re getting back to basics: Train, Code and Discover. 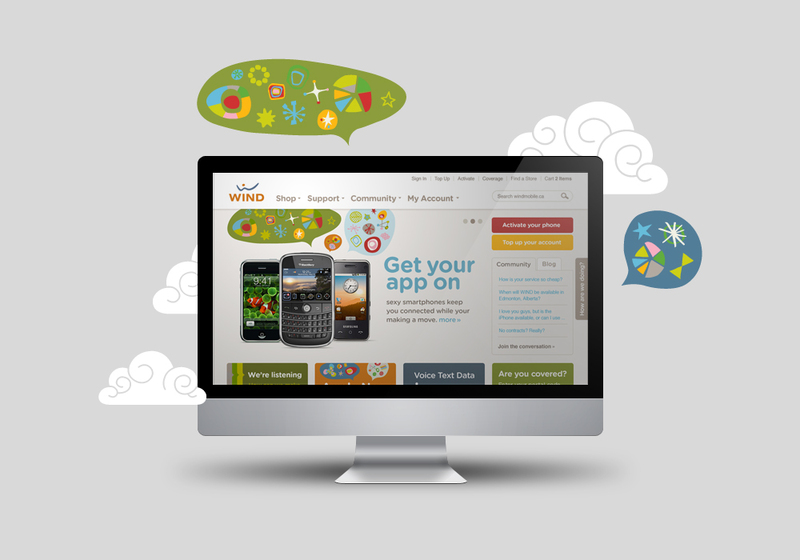 The website was built with the idea that everything should revolve around these three pillars.